In keeping with its mission to foster an awareness of the village’s architectural, artistic and cultural heritage and to further the understanding and appreciation of the history and current life of the village of Bronxville, New York, the Conservancy hosts presentations, lectures and special events throughout the year. Champagne receptions and presentations on Bronxville’s early artists, their studios, the Conservancy’s growing collection of Bronxville artists’ works, and readings from literature written by historic village authors are some of the many events held in the Conservancy’s first decade. On Sunday, May 20, the Bronxville Historical Conservancy partnered with the Bronxville Public Library to share insights and images of the village’s extraordinary artistic heritage. The afternoon event began in the Yeager Room of the Library, where art historian and curator Jayne Warman presented a narrative of Bronxville’s early artists and a selection of their works. “These two remarkable collections are the product of a shared love of art and history, fostered and encouraged by our resident artists and effectuated by a long line of civic minded leaders and caring villagers. We are very fortunate indeed,” said Warman as she ended her presentation. 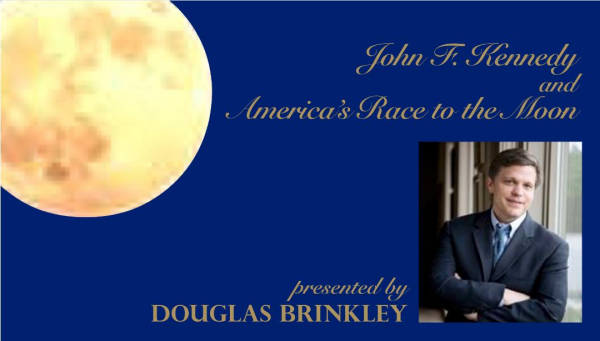 The Bronxville Historical Conservancy’s celebration of the JFK Centennial included a Poetry Reading at the Bronxville Public Library on April 23. In his introductory remarks, Charles O’Neill pointed to Kennedy’s support for the arts as evidenced by his invitation to Robert Frost to read at his inauguration. Members from the Conservancy and Friends of the Library boards read poems from Of Poetry and Power: Poems Occasioned by the Presidency and by the Death of John F. Kennedy, as well as Kennedy family favorites. Selections included poems by Frost, Byron, Tennyson, Brooks, among others. The program was organized by Chris Goff and Ellen de Saint Phalle and readers included Charles O’Neill, Marilynn Hill, Scott McGuirk, Mary Marvin, Nick Stephens, Judy Unis, Justin O’Neill, Alice Campbell-Romano, Viji George, and John Barr. Mary Fairchild Low was a painter and wife of Will Hicok Low, both prominent members of the artist colony that flourished in Bronxville in the late-19th and early-20th centuries. Before moving to Bronxville in 1910, Mary led a fascinating life in Giverny. Married at the time to the sculptor and painter Frederick MacMonnies, Mary lived just down the road from the Impressionist painter Claude Monet, and she enjoyed the stimulation and camaraderie of the American expatriate group of artists who had settled there in the late-19th century. On Sunday afternoon, March 25th, the Conservancy hosted an afternoon devoted to the legacy of one of Bronxville’s artist/residents, Charles R. Knight. The event at the Bronxville Library featured artwork by Knight, a fascinating presentation by Richard Milner, author of a newly published biography of the artist, and some personal recollections of her grandfather given by Rhoda Knight Kalt. The Conservancy and Bronxville Public Library jointly organized a special Veteran’s Day presentation on November 10th, featuring an exhibition of nine newly framed WWI Propaganda Posters belonging to the Library and a lecture by Sarah Lawrence College Professor Fred Smoler and demonstration by Conservancy Board member Jack Bierwirth. Curated by Sarah Underhill and Barbara Sussman, this exhibition at Concordia College’s OSilas Gallery brought an exceptional representation of the work of Hobart Nichols and Spencer Nichols together for the first time, creating an opportunity to explore the visual dialogue between these artists and brothers. 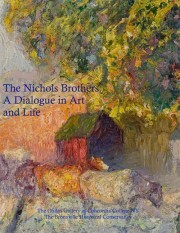 The Conservancy published the exhibit catalogue which contains an image of each painting, with accompanying test sharing an insight into the lives and work of the artists. The 3rd Annual Bronxville Veterans Memorial, an initiative co-founded in 2008 by local residents Cindi Callahan and Jane Staunton, was hosted this year once again at the Bronxville Women’s Club to celebrate the true spirit of Memorial Day by saluting those in our community who have served our country. The exhibit featured the Scroll of Honor, a list of more than 1,400 service men and women, along with personal and civic memorabilia from Bronxville veterans and residents. The Bronxville Veterans Memorial is funded by a special grant given by the Bronxville Historical Conservancy. Architect Peter Gisolfi, whose concern for the relationship of architecture to its setting translates into graceful connections between buildings and landscapes, was the featured speaker for the Conservancy’s 2009 spring event. His lecture, “Finding the Place of Architecture in the Landscape,” included examples from his work in our village, most notably the recent library and Village Hall renovations. “A resounding success” and “simply marvelous” were just two of the phrases used to describe the official unveiling of the paintings by Bronxville artists which were acquired by the Conservancy and are now on permanent loan to the Village. Over 150 members and their guests attended the reception at Village Hall on May 18th to view the art collection and admire its new home in the recently renovated building. A capacity crowd gathered on Sunday afternoon, April 30, in the Yeager Room at the Bronxville Public Library. The reason — a rare exhibit of the works of two early-twentieth-century Bronxville artists, brothers Francis and Richard Gates. The exhibition and program were presented by the Bronxville Historical Conservancy and made possible through the generosity of the collection’s owner, Roland Britch, of Newport, Vermont, an heir of Richard Gates’ daughter Frances. 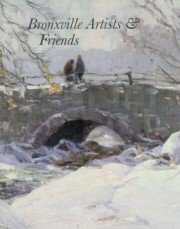 The two-day exhibition of 37 pictures, several of which were landscapes painted along the Bronx River in Bronxville, opened on Saturday, and a special introduction to the artists was presented Sunday afternoon by Dale Hanson Walker, a great-granddaughter of Edward Morange who, with Frank Gates, established the scenic design firm of Gates and Morange in 1894. On May 16th, Art Historian Jayne Warman drew a packed crowd at the Yeager Community Room as she presented works of art the Conservancy has acquired as a part of its effort to bring the creations of early Bronxville artists back to our community. Among the works presented were two winter scenes by Sheldon Parsons (1 and 2) who captured the beauty of the Bronx River and surrounding woods; a spring landscape by Walter Clark that reflects this artist’s enthusiasm for painting the local scenery, particularly the woodlands along the Bronx River; a beautifully painted watercolor by Will Hicok Low that epitomizes his mastery of allegorical subjects; a charming scene of toy sail boats on the Bronxville pond painted by Will Low’s wife, Mary Fairchild Low, and bought in memory Jean Bartlett; a large and splashy still life of peonies by Spencer Baird Nichols; an allegorical scene donated by Charles Hinton, Jr., painted by his father and given to him as a wedding gift; and the most recent acquisition — a striking portrait of William Van Duzer Lawrence given to the Conservancy by Bob and Sarah Underhill. Bob is the great-great grandson of this Bronxville founding father. Stephen May, historian, preservationist and expert on historic art studios, visited Bronxville on October 27, 2002, a program organized by Conservancy member Eloise Morgan to share insights into Bronxville’s historic art studios, the artists who built them and the art work they created. Bronxville’s extraordinary collection of studios was built between 1894 and 1919. Scattered throughout Lawrence Park, these oversized spaces usually incorporate large northern windows or skylights and serve today as living or play areas or storage space. Bronxville’s surviving art studios include: 24 Prescott (William Henry Howe); 25 Prescott (Mary Fairchild Low and Will Hicok Low); 26 Prescott (William Smedley); 6 Lookout (Lorenzo Hatch); 8 Park (Herman Schladermundt); 28 Park (Milne Ramsey); 32 Park (Anna Winegar); 67 Park (Charles R. Knight); 55 Summit (Spencer Baird Nichols) and 60 Summit (Max Bohm). With a backdrop of 19th and early 20th century paintings gathered by Objects and Images Gallery, combined with works lent from several villagers’ private collections, villager and art historian Jayne Warman painted a magnificent landscape of Bronxville’s early art and its ever-increasing value in the current market in the first gallery event in the spring of 2000. Ms. Warman noted that the earliest known Bronxville artist was William R. Hamilton (1795-1879), a Scotsman by birth who is best know as a portraitist. He painted the individual likenesses of one of Bronxville’s first families, the Mastertons, in formal settings as well as in bucolic scenes such as Masterton’s at Play Along the Bronx River. Other artists featured in the exhibit included George Smillie, Otto Bacher and Will Hicok Low, the latter probably the most famous of the colony’s residents. “They were well-established painters with various aesthetic concerns, all basically conservative and seeking a quiet, relaxed but elegant life within easy reach of Manhattan,” she said.